At The Toast we use Dropbox all the time. It’s an amazing feat of tech wizardry in the connected age that lets you save, share and retrieve any file anywhere. Its sync feature that can seamlessly keep your local computer files up to date with your cloud (internet) files is what the company is most well known for. This feature is what made Dropbox as famous as what it is, with more than 400 million worldwide users. But what if your Dropbox (internet) storage is way more than the capacity of your local computer? Even if your local computer features a 1 TB solid state drive, you will eventually run out of space. (It’s surprising how quickly this happens.) Without enough space you will not be able to sync everything anymore and your storage-sync-life quickly becomes an endless nightmare of selecting and deselecting files to delete and/or not sync, or sync. Not cool. To cope, we’ve become used to switching all local computer synching off to only use Dropbox.com. But this browser-based way of using the service online really serves only to defeat the object of Dropbox sync in the first place. Over time (Dropbox launched in 2008, after being conceived in 2007) the amount of files saved by users via Dropbox increased exponentially, leading to various levels of frustration with the free service. Dropbox became as ubiquitous as it is by being first to be widely used, for free, up to a certain moving target of free space. Even with a range of competitors offering more for less, Dropbox remains the preferred choice for most users due its ubiquitousness and universal ease of use. However, the idea of using Dropbox’s free level of service for business (via individuals creating private personal Dropboxes with free space of 2 GB that can increase to a maximum of 16 GB for Dropbox Basic via its user referral system), quickly becomes a mess, as you always need more space and the best features are restricted to paying customers. So if you don’t want to be exposed to losing all your data and pictures if you lose your laptop and need to have keep all collaborative files easily accessible all the time, go for the Dropbox for Business/Enterprise or Pro services. You’ll pay, but your Dropbox usage will become hassle free. In addition, another reason to upgrade to Dropbox for Business is that Dropbox has announced a new innovation that again brings the best of sync to your local computer. 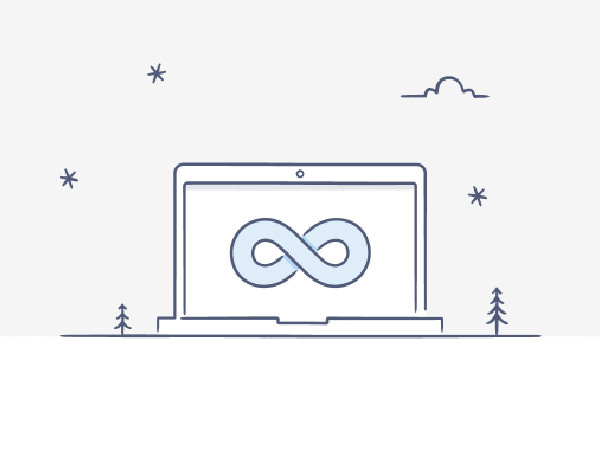 Announced earlier this year, Dropbox Project Infinite will use its desktop app to sync across the internet and your local drive. The tech driving this new seamless cloud sync sounds extraordinary. For my money, if ever there was a reason to use Dropbox professionally, this is it. When launched, the project will be available to Dropbox Business customers. The Toasters can’t wait.